Environmental dredging projects are typically not about mass removal. Instead, they are about precision and careful excavation to remove impacted sediments while preserving underlying clean layers. Diver assisted micro dredging takes precision removal to the next level. 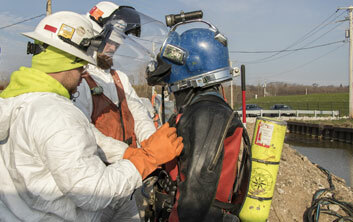 Using state-of-the-art diving equipment and talent commercial divers who are HAZWOPER certified, Brennan can remove impacted sediments in conditions that require the utmost care. There are several instances where micro-dredging is extremely valuable. This could be around heavily degraded infrastructure, buried utility lines, historical artifacts, or even mechanical structures. As most of the river systems in the United States are crossed by bridges, power lines, gas lines, dams, and other critical structures, it is imperative that environmental remediation projects preserve these items while still being thorough. Diver assisted micro dredging is carried out hydraulically using a customized 6-inch pump system. The impacted sediment is slurried and transported to a dewatering facility. Geotextile tubes are often used in the dewatering process due to their cost effectiveness for typical material quantities. 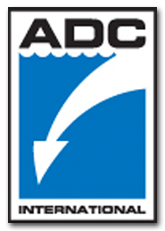 Brennan is a proud member of the Association of Dive Contractors International (ADCI), and all of our commercial divers are certified. We can mobilize anywhere in the continental United States in a timely manner while maintaining competitive rates. Preliminary dive inspections and surveys can be conducted to determine the condition of water-based structures as well. 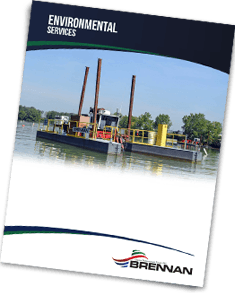 For more information on our diver assisted micro dredging services and other environmental services that we offer, please download our brochure!